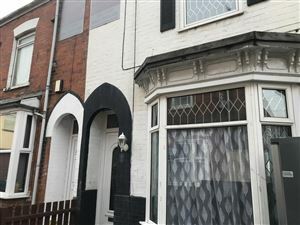 6 Park Avenue, Perry Street £450 p.c.m. Three bedroomed mid terrace property in this conveniently located area with easy access to local shops and schools. Adjacent to the KC stadium and West Park. Accommodation briefly comprises, entrance hall to living room, separate dining room and new modern fitted kitchen. Back Southgate, Hornsea £495 p.c.m. Available Immediately this two bedroom mid terrace property would make an ideal first time let. The property briefly comprises living room with a gas fire, kitchen complete with cooker, fridge and freezer, small utility room with washing machine, bathroom with shower over bath and two double bedrooms. Located in a sought after residential area. This three bedroomed property briefly comprises entrance hall, lounge and kitchen to the ground floor and stairs leading to the first floor with three bedrooms, two of which are double rooms, the property also has central heating.